We’ve spent a great deal of time discussing the benefits of living by the water, and all of the wonderful things the community of Lakebreeze is going to have; however, it’s understandable that some of you have a difficult time visualizing exactly what life along the waterfront really looks like – and how it will come together here at Lakebreeze. Well, to get a clearer picture, you have to look no further than the town of Newcastle, only a short 11-minute drive from Bowmanville. There, along the waterfront, you’ll find the Port of Newcastle: a quaint community of detached homes, towns and condos. Kaitlin has developed lots of communities over the years, but none like the Port of Newcastle. It has distinct architecture, immense attention to detail throughout and a true aura of luxury and charm. The community has tons of character – and you can feel it in the air. Whether walking along the gorgeous lakefront path, exploring the parks, docking in the marina, or spending an afternoon at the 15,000 square foot Admiral’s Walk clubhouse (with recreation, a spa, and a bevy of entertainment), residents here enjoy an unparalleled lifestyle. 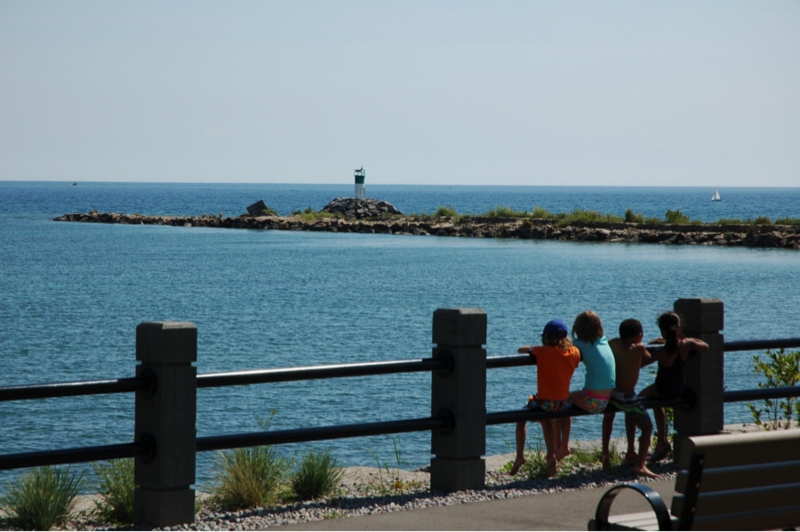 Does life along Lake Ontario appeal to you – and you can't want to wait for Lakebreeze to open up? Consider one of the signature suites available at Harbourview Condominiums within the Port of Newcastle – starting at just $229,990. If you’re interested in living your dreams, and starting a life in our Lakebreeze community, you’ll definitely want to make a point to explore Port of Newcastle – as it embodies the spirit and feeling of we have in store for the last great master-planned waterfront community along the shores of Bowmanville.